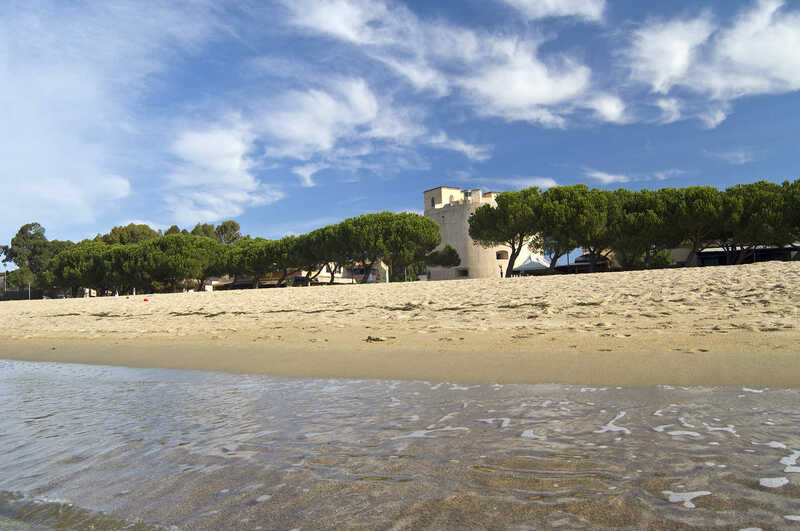 Three kilometres of golden sand, running from the marina to the mouth of the River Tirso, bordered by tall palm trees and a beautiful esplanade, this is an ideal seaside area for holidays full of swimming and diving, jogging and sport, on horseback, by bicycle or in-line skates, with evenings of music and fun. Torregrande is the beach of Oristano, 10 kilometres away, and is named for the main square of the small tourist town founded by farmers and fishermen. 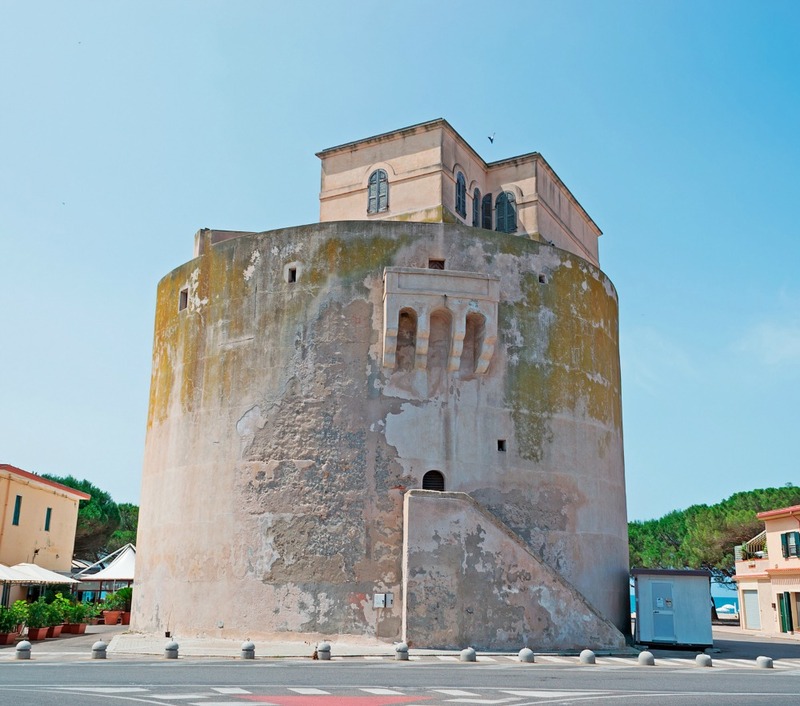 Here you'll find the Spanish tower of the same name, the largest in Sardinia, built between 1542 and 1572. This is a lively area full of bars and clubs, concerts and shows, restaurants and festivals, exhibitions and markets. If you're a horse lover, the nearby riding schools offer horseriding on the beach, stupendous at sunset, while the clear sea rich in marine flora and fauna make for diving like in a documentary. The beach has received the Legambiente Blue Flag several times, and hosts the coastal marine environment institution of the Italian National Research Council (CNR). The long stretch of sand has all mod cons: disabled access, ample car parking, suitable for campervans, kiosques and beach equipment, children's play areas, sailing and diving schools. Along the beach you can play beach volley or beach tennis, hire pedal-boats, boats and windsurfing equipment. The sea is nearly always calm, although the seabed quickly gets deep: it's family friendly, but keep an eye on small children. The modern Torregrande marina is Oristano's tourist port, in the centre of the gulf, the starting point for trips from the picturesque Capo San Maro to the Sinis marine area, passing some magnificent beaches on the way: San Giovanni, Maimoni, Is Arutas and Mari Ermi (in the territory of Cabras) and Putzu Idu (in the territory of San Vero Milis). The tower is the largest one left in Sardinia by the Spanish occupation, although the centre of Oristano also has several traces of fortifications, first from the middle ages and then from the Aragon period, in particular the tower of Mariano (or San Cristoforo) in Piazza Roma, the most important remains of the town wall that surrounded the d'Arborea jurisdiction. Dating back to 1290 and 28 metres high, it was built in sandstone blocks from Tharros by master stonemasons from Pisa, commissioned by Judge Mariano II, then "retouched" by the Aragon family. The beach is reached by going along the SP 1 from Oristano towards Cuglieri. near the Santuario della Madonna del Rimedio, turn off for Torregrande: however, it is well signposted right from Oristano, as it is considered as the town’s beach, being only 10 kilometres away. Do you like this place? 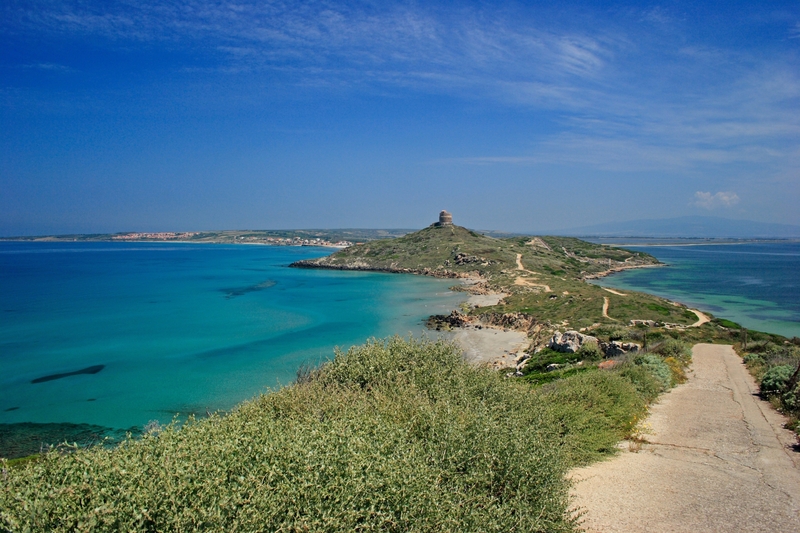 Golfo di Oristano (Oristano Gulf) and Sinis could be your ideal destinations.